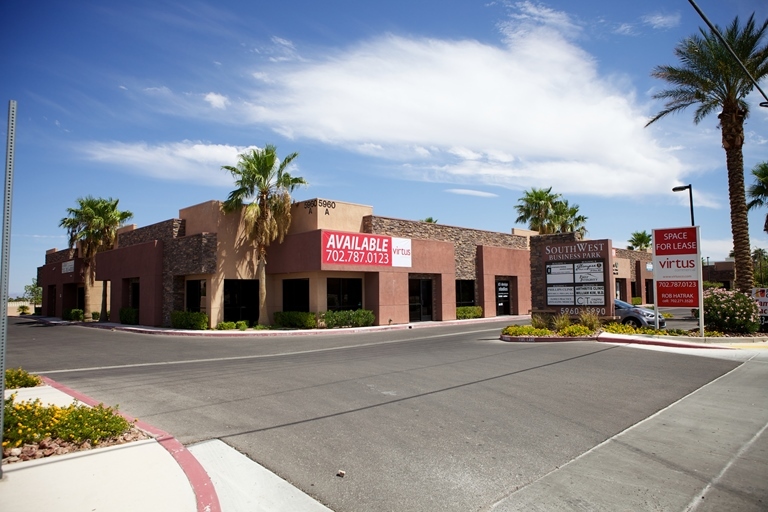 Brass Cap Investment Partners LLC signed a 39-month $129,600 lease for 3,000 square feet of office space inside the 8-year-old South West Business Park at 5960 S. Rainbow Boulevard, Suite 300, in Las Vegas. Land Baron Investment’s Mike Chernine represented the lessee; Virtus Commercial Rob Hatrak represented the lessor, 5960 Rainbow LLC. The reported average rent equals $1.11 per square foot.